Halftone newspaper reproduction of original photograph. The building was originally a cotton warehouse before it was adapted to meet the requirements of a theatre by Stanislaus Surin in 1820. During the next five years it was also known as the Winter Tivoli Theatre and the City Theatre. 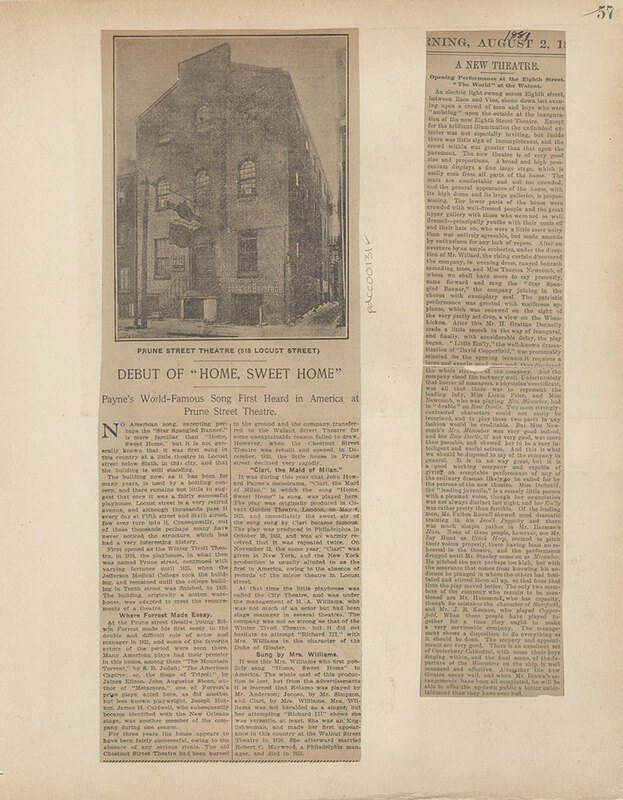 It was at the Prune Street Theatre that the song "Home, Sweet Home" was first heard in America with the debut of John Howard Payne's melodrama, "Clari, the Maid of Milan". In 1825 Jefferson Medical College used the building until their new facility on Tenth Street was completed in 1829.